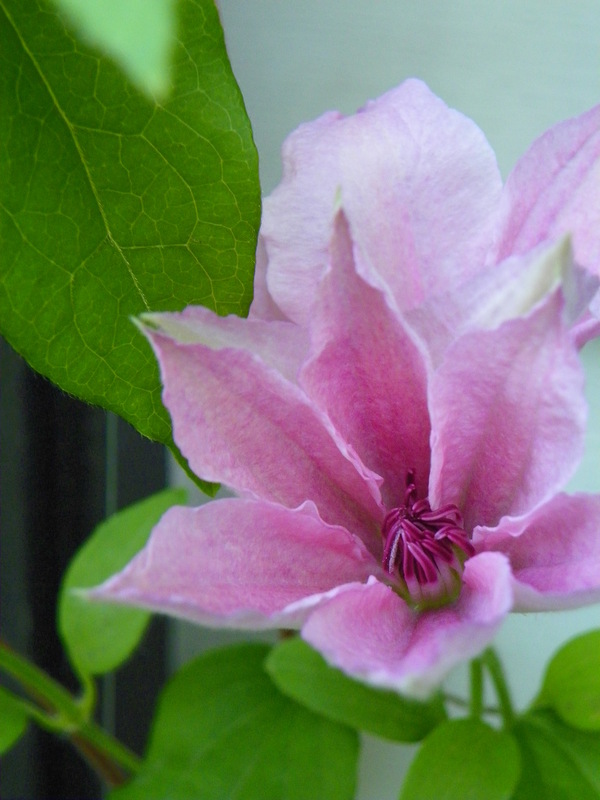 ‘Pink Fantasy’ Clematis is at its pinkest just after opening. More and more, I find myself picking pink for the garden. Nothing soothes my soul and picks up my spirits like a pink flower. That said, ‘Pink Fantasy’ clematis is a jubilee of pinkness, and a clematis worth a try in your garden. It’s blooming early this year, as are all clematis, and most garden flowers for that matter. Typically, it blooms in June and then, later in the summer on new sprouts. The late summer blooms will be smaller. It is pruning type 3 (clematis are typed this way), meaning you cut it back to the ground in the spring, which I did this year to wonderful effect. It can grow to 10 feet. Mine is topping off at about 8. It is hardy to zone 4b. It’s always worth noting that clematis love cool roots and as much sun as possible. It works wonderfully to plant other favorites at it’s base. Pink poppies are little jewels in the landscape. Speaking of pink, the pink poppy opened this morning. Poppies are my #1 favorite flower, beautiful before, during, and after blooming. I have found that you can get by with quite a bit of shade with a poppy, but they have long tap roots that make them curmudgeon-ish about being moved once planted. 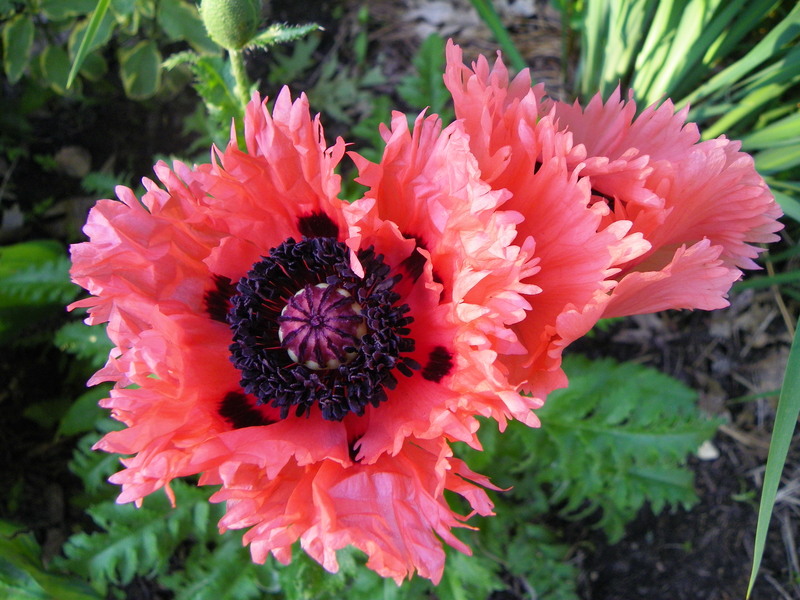 Once they have bloomed, the foliage of a poppy gets a little scraggly. 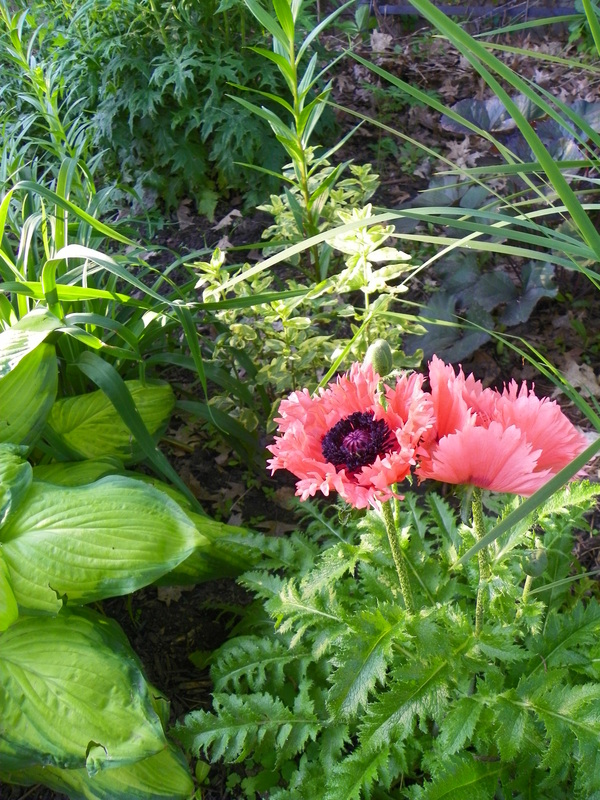 Place your poppies within other plants, so they can take over visually once the poppy is past its glory. Speaking of pink, I am loving the new Spirea ‘Denistar’. New growth emerges with maroon, pink-ish foliage and little pink flowers fill the shrub throughout the summer. With a nice shape and compact form (3×3 feet) it is a pretty, tidy presence in the garden. A shrub that mimics a perennial. And currently $10 at the Cub Food hoophouse. As a perk, it has bronze fall foliage. 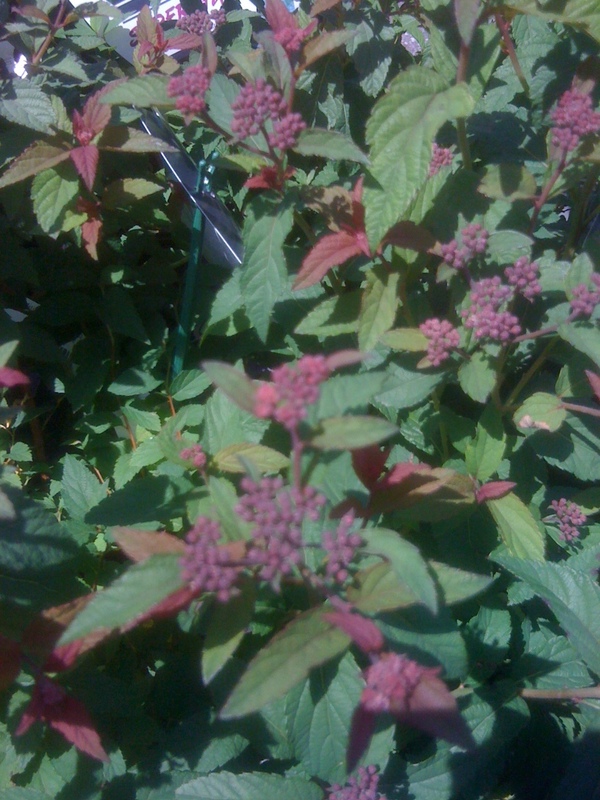 Spirea ‘Denistar’ is a great “in the pink” plant for the garden. Next Post Add balsamic vinegar and powdered ginger to your rhubarb crisp, people! Those are very special poppies….ones that I have never seen before. Can they be purchased at nurserys? What are they called?. Very garden variety! I think I got it years ago at a grocery store hoop house.